These days, companies are more dependent than ever on data scientists to bring structure and strategy to the oceans of data the world is churning out. Data scientists, once referred to as “The Sexiest Job of the 21st Century” by Harvard Business Review, are no longer technology nice-to-haves, but key players in business strategy across all industries. 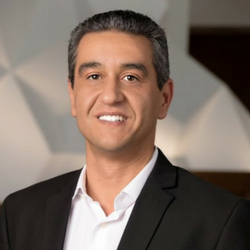 We sat down with Faker Zouaoui, Asurion’s Chief Analytics Officer and winner of the 2018 Data Scientist of the Year award, to discuss his own data science journey, who influences him, and why he thinks the field is moving quickly to the forefront of businesses. What motivated you to become a data scientist? Technically, the term “data scientist” didn’t exist in the early 2000s, but it was my first professional job after academia that motivated me to pursue the field. I was hired in 2001 as an Operations Research Consultant at Sabre, a global travel technology company. This was during a time of deregulation in the travel industry. My first assignment was to explore new data-driven products and models that would transform travel information allowing Sabre to accommodate people’s preferences in how they shop for and book travel. The breadth of content curated combined with the ability to generate millions of customized travel options in seconds allowed consumers to shop and book travel in ways we’d never seen before. The experience of watching data science transform the whole travel industry was incredibly motivating. Now, as a leader, I can support our data scientists at Asurion in playing a similar (and integral) role in growing and transforming our industry. Who is a data scientist that you admire and why? Be a “trusted advisor” to decision makers who may not understand all the important data and analytics issues involved in key decisions. Be a “good communicator” to be able to ask the right questions, have a good sense on where to apply analytics, and present my findings in simple and concise ways. Be a “hacker” to be able to code or program in different scripting languages to collect, analyze and mine a variety of data sources for actionable insights. Be a “quantitative analyst/scientist” to be able to generate hypotheses, and test different analytical solutions to the key functional or business problems. How would you like to see data science change in the next decade? Not long ago, the role of “data scientist” had little – if any -meaning to others. Data scientists were typically lower-level analysts working in the background. Now, data science has become a critical business discipline and has moved from the back room to the board room to serve as an integral part of a company’s business strategy. This is very gratifying and validates the value that good data science brings to technology and business. Increasing the overall “awareness” of what data science is so that businesses can see its value proposition and make the field ubiquitous in all organizations. For this to happen, it will require significant effort and education to ensure that organizations of all sizes and all industries fully understand the value and capabilities of data science. They must also understand the processes and progression that facilitates moving from data science start-up to developing a center of excellence to establishing complete data science expertise and capability across the organization. What one thing would you change if you could about how Data Scientists are perceived by organizations? Why? The one thing I would change about how Data Science is perceived by organizations is the notion that Data Science is meant to support the technology function, and nothing more. This perception has started to change within industry-leading organizations, as evidenced by the growing creation of Chief Data/Analytics Officer roles within innovative companies. Further, in the past 3-5 years some companies have made progress formalizing the Data Science infrastructure within their organizations to serve as an integral part of a company’s business strategy. 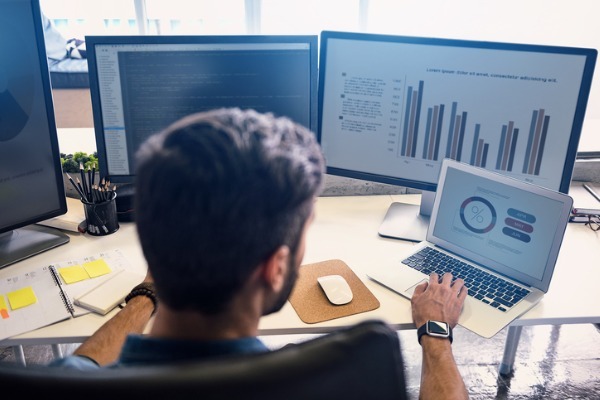 However, the practice of treating data science as a critical business discipline, and aligning the function to support the core business strategy has not yet been widely adopted across more organizations. I think we as data science leaders can do much more to educate and grow awareness within our organizations regarding what data science is and the benefits that it can deliver to any area of the business. If we continue to improve the reputation of the data science discipline by driving greater awareness and understanding around the business value of data science, then this will drive up the demand for good data science talent. This, in turn, will facilitate better development of talent in the educational systems (both academic and organizational). Asurion is building the products, platforms, and systems that help support our partners and deliver an exceptional customer experience. Click here for more information on technology and product jobs at our Nashville, TN; San Mateo, CA; and Sterling, VA sites. The company is a proud recipient of the coveted Great Place to Work® certification. This recognition – our first on the national scale – was awarded based on an extensive employee survey and a rigorous culture audit. 88% of employees said that Asurion was a great place to work.